Despite these pioneering efforts, spring training was by no means a common practice in the 1880s. Many teams retreated to gymnasiums rather than travel down south. Henry Chadwick recommended players hone their skills playing handball and practicing sliding indoors on carpeted gym floors. Some writers of this era warned against excessive use of dumbbells. 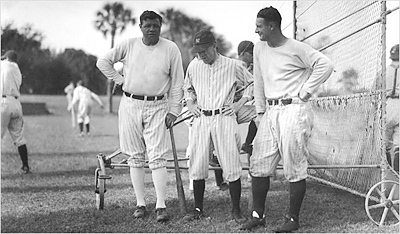 Some ballplayers refused to accompany their team on spring training trips. These players worked out on their own, often building themselves up by hunting, hiking, walking, rowing, or skating. By the 1890s almost every team had a Spring Training regimen. Owners had finally realized the benefits, both physically and fiscally. A reporter named A. M. Gilliam had helped create the spectacle we now call Spring Training, back in 1887. Writing for the Philadelphia Record, Gilliam offered three dollars a day for briefings from teams training in the south. Teams that participated provided details of training camp activities, game scores, attitude of their players, and so on. Gilliam was imaginative enough to see the possibilities of Spring Training hype and what it could do for gate receipts (he should have been an owner). He wrote one owner: "the games you play in the South mean nothing, but the score of even a five-inning practice game will be greedily scanned by enthusiasts here, and will boom your club for the coming season." 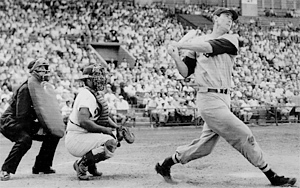 Soon after Gilliam's efforts, spring training became a ritual for many teams. Writers began submitting reports on highly touted rookies and prospects. Invariably a veteran would be the focus of a story claiming he was "rejuvenated." By 1890 a newspaper claimed the South was being overrun with Northern ballplayers, and by the end of that decade every major league club had a Spring Training tradition. Today’s major leaguers know that solid methods of strength training and conditioning will help them swing the bat harder and hit the ball farther. And of course, during a long-season, the well-conditioned player will less likely succumb to injuries, allowing him to play his best for the whole season. It is the player who works smart, not just hard, who succeeds in the game of baseball year after year. The hours-long workouts might utilize scientifically-proven techniques including ballistic stretching, aerobic dance, variable resistance exercises, and isometrics. Even elements from yoga and the martial arts. All along, full-time trainers with physiology degrees utilize state-of-the-art workout equipment while monitoring ballplayers for muscle mass and flexibility When the final pitch is pitched, most Major League ballplayers’ commitment extends well into the so-called ‘off’ season.